The news of the purported shutting of Satellite providers, Multichoice Dstv/Gotv in Nigeria due to an agreement which is due to expired in the year 2019, was welcomed by many people in Nigeria, owing to the fact that; we are about to get ride of this costly satellite company once and for all. Reports has it that the license which was issued back in 2014 won't be renewed because it's not in line with the Digital Switch Over (DSO) White Paper. Meanwhile, MultiChoice has finally reacted to the report and says that it complies with the regulatory requirements and applicable laws on TV broadcasting. Below is an excerpt of the statement. “GOtv is provided under a fully licenced and registered entity in Nigeria, and this license comes up for renewal in March 2019". "As a law-abiding and committed Nigerian operator which has fulfilled (and continues to comply with) all regulatory requirements and applicable laws, it is not clear how or why this license would not be renewed, and as such the company will investigate further in the best interests of the many customers it serves in the market". "MultiChoice remains committed to providing its customers with a wide variety of quality entertainment through the usual best standards." 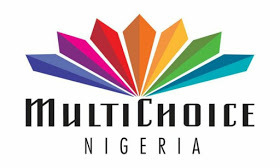 Recall that MultiChoice was launched in Nigeria in 1994. And In 1995 it launched DSTV (Digital Satellite Television), a direct broadcast satellite service for the Sub-Saharan African market. In 2011 MultiChoice launched the pocket friendly PayTv version called GOtv digital platform, a pay television offering on digital terrestrial television (DTT) at cheap cost. And since then, the company has become a household name in Nigeria.